Ticket Day Sale will be held at the studio in the main building. All tickets are reserved seating and are sold on a first come first serve basis. Tickets are $24.00 each and there will be a limit of 15 tickets per family the day of Ticket Day Sales. You can purchase additional tickets during studio hours starting May 6th. There are NO REFUNDS so please be certain you know the day and time of your child's performance. 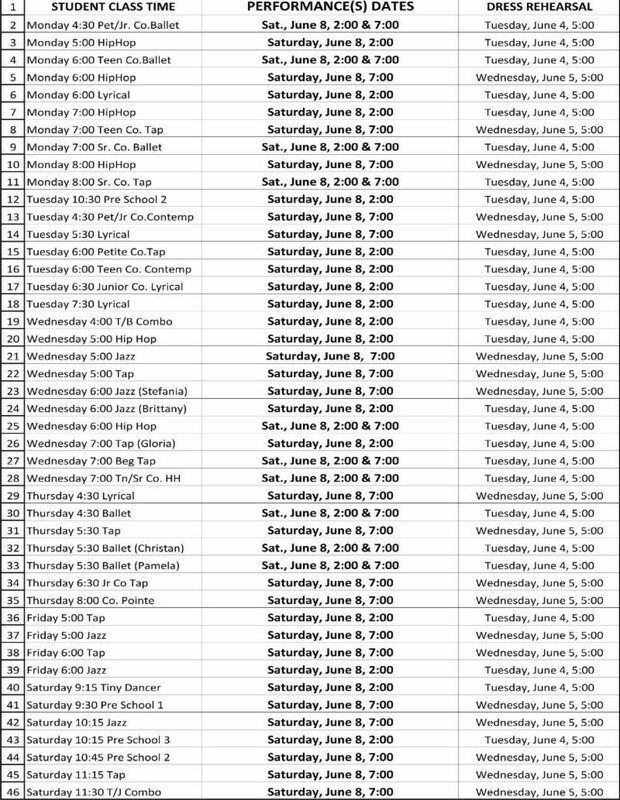 Please click on the link below to access your child's class recital dates. as well as your dress rehearsal dates and times. If you have any questions, please give us a call or send us an email at gfdance@gloriafrances.com.